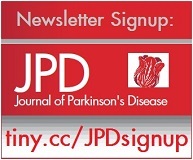 The Clinical Trials Highlights of the Journal of Parksinon's Disease is a section devoted to raising awareness of the clinical trial landscape in Parkinson’s, promoting discussion and progress in the conduct and outcome of studies. 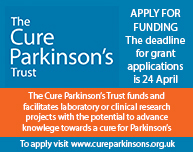 Please help us to make a difference to the outcome of clinical trials in Parkinson’s, looking forward to a time when clinical progress matches the performance in the lab. If you feel that you would like to draw attention to a specific trial, please feel free to email us at: jpd@iospress.com. Isradipine, a dihydropyridine calcium channel antagonist (DHP) that is approved for the treatment of hypertension, is being tested as a potential disease modifying intervention in early PD. Isradipine was shown to be neuroprotective in in vitro and in vivo models of parkinsonism. The mechanism of neuroprotection is linked to selective vulnerability of substantia nigra pars compacta neurons that preferentially express L-type calcium channels. Neuroprotective effects of isradipine are achieved at a plasma concentration that is obtained within the safe dose range for human administration and consistent with the tolerable dosage identified in the phase II study of isradipine in PD (STEADY-PDII). A number of epidemiological studies have demonstrated a reduced risk of development of PD in individuals treated with DHPs compared to other antihypertensive agents. STEADY-PD III final results will be presented at the American Academy of Neurology May 2019 meeting. The study has a number of unique design features, including the longest duuration disease modifying interventional study (3-year) in a de novo PD population and assessment of the primary outcome in the medication ON state. Retention and completion rates have been higher than expected for such a long duration study. Enrollment was started in November 2014 and was completed in 12 months, 6 months ahead of schedule, including 10% minority recruitment. The last participant completed the study in November 2018. Study retention rate is 95%, 297 have initiated PD symptomatic therapy. Data lock is scheduled for January 2019 and final data analysis will be available February 2019. The Phase 1 AFF008 series comprised 4 consecutive studies - AFF008, AFF008E, AFF008A and AFF008AA. In total, 32 patients were enrolled, 24 of them receiving active treatment and 8 PD patients only on standard of care medication, who served as an observational comparison group. The active group were randomized to receive four immunizations with either low dose (15μg) or high dose (75μg) AFFITOPE® PD01A in intervals of four weeks on an outpatient basis (study AFF008). Eight patients were in an untreated, observational control group. Twenty-one patients in the PD01A treatment groups and five in the observational group completed the entire series of studies. At screening, the average time of PD after the first diagnosis was 2.6 years. Patients were allowed to continue their standard of care PD medication. An additional observational follow-up period of twelve months was added (study AFF008E). Part three of the study series (AFF008A) administered a booster immunization after rerandomizing patients from study AFF008E into two different doses of boost (15μg or 75μg AFFITOPE® PD01A). The reboost study (AFF008AA) gave a second booster with a fixed dose of 75μg AFFITOPE® PD01A to patients previously immunized five times. Key objectives were to show safety and tolerability as well as immunogenicity of AFFITOPE® PD01A in a long-term treatment setting. Both doses of AFFITOPE® PD01A were locally and systemically well tolerated1. No study drug-related serious adverse events (SAE) or suspected unexpected serious adverse reactions (SUSAR) occurred. Systemic adverse events were very similar to those in patients on standard of care treatment. The majority of adverse events, approximately 55%, were local reactions (LRs), the great majority of LRs being only mild and without dose dependency. AFFITOPE® PD01A showed a clear immune response against the peptide itself and cross-reactivity against α-synuclein targeted epitope over time. The first boost immunization produced a significant effect on all analysed titers, resulting in the maximum titers observed in this series of studies. The second boost immunization further stabilized the produced antibody titers. Thus, a significant increase in titers against PD01A was seen over time, which translated into a humoral immune response against α-synuclein, being approximately one order of magnitude lower. In addition, PD01-specific antibodies were detectable in cerebrospinal fluid. Data from post-hoc analyses indicate that AFFITOPE® PD01-induced antibodies preferentially bind to both oligomeric and fibrillar α-synuclein when compared with monomers and showed that there was a trend in reduction of oligomeric α-synuclein levels in plasma as well as cerebrospinal fluid upon treatment with PD01A at week 26. Clinical scores for PD were stable during the entire study period, however, the study was not designed and not powered to evaluate clinical efficacy. The logical next step is a Phase 2 study to further evaluate safety and tolerability and to gain early insight into clinical efficacy. This study was a randomized, placebo-controlled, parallel group, patient-blinded, two centre study, assessing tolerability and safety of repeated subcutaneous (s.c.) administration of two doses of AFFITOPE® PD03A formulated with adjuvant to patients with early Parkinson’s disease (PD). Thirty-six patients were randomized to either AFFITOPE® PD03A high dose (75μg), low dose (15μg) or to the placebo group treated with adjuvant alone. Patients received 5 injections, 4 for priming every 4 weeks and the 5th as boost immunization 9 months after the first immunization. Key objectives were to show safety and tolerability as well as immunogenicity of AFFITOPE® PD03A. At screening, the average time of PD after first diagnosis was between 1.6-2.3 years; patients were allowed to continue their standard of care PD medication. Affiris is taking a different approach of active vaccination to induce an antibody response, rather than passive antIbody delivery. There are potential advantages and disadvantages of such an approach. On the positive side the antibodies will bind specifically to a relevant appropriate target and they can be calibrated for specificity and selectivity of the immune response. In addition the drug is delived subcutaneously rather than intravenously and boosts can be done to further induce immune response. The potential pitfalls are lack of accurate prespecified level of immune response in a given individual and as such potential safety concerns though none have been seen so far in the early programs. The Michael J Fox Foundation has reported that Affiris is planning a Phase 2 study. Both doses were locally and systemically well tolerated. No study drug related SAE or SUSAR occurred. AFFITOPE® PD03A showed a clear dose dependent immune response against the peptide itself and cross-reactivity against the aSyn targeted epitope over time, with antibody reactivation upon booster immunization. A parallel Phase 1 study (NCT02270489; AFF009) evaluated high dose (75μg) AFFITOPE® PD01A and PD03A in patients with MSA. Both doses were safe and well-tolerated. PD01A showed a clear immune response but, in contrast to the results in the PD trial, PD03A showed no difference to placebo. This is a single-center study of single ascending intravenous doses of MEDI1341 or placebo in up to 48 healthy volunteers, aged 18 to 80 years. The study will include up to 5 planned cohorts; each cohort will comprise 8 subjects. An optional sixth cohort of 8 subjects may be studied. Each subject will receive a single 60-minute intravenous infusion of MEDI1341 or placebo and will undergo scheduled assessments over a period of 13 weeks. The main aim of the study is to assess the safety and tolerability of single doses of MEDI1341 in Healthy Volunteers. PRIMARY OUTCOME MEASURE: Adverse events. SECONDARY OUTCOME MEASURES: spectrum of pharmacokinetic and pharmacodynamics measures including free/total α-synuclein concentration in cerebrospinal fluid and plasma. Antidrug antibodies in serum will be measured as well. This is an early phase Single Ascending Dose (SAD) study that will define viability of the molecule to move into the more advanced stages of the development. MEDI1341 is an α-synuclein antibody that is potentially differentiated by its high affinity, high selectivity and reduced effector function (lower interaction with the immune system). The impact of this differential profile will be determined in future studies. SPARK is a multi-centre, randomized, double-blind, placebo-controlled study, with an active treatment dose-blinded period, to evaluate the safety, pharmacokinetics and pharmacodynamics of BIIB054 in subjects with Parkinson’s. The study is conducted in patients who have been diagnosed with clinically established PD within a maximum of 3 years with no other known or suspected cause of Parkinsonism. Patients should have a score of ≤2.5 on the Modified Hoehn and Yahr Scale. There will be 2 cohorts. Cohort A will be randomized first and will include approximately 24 patients (completed). Cohort B (on-going) was launched after all patients in Cohort A completed Week 12 assessments and had safety read out. Cohort 2 will include approximately 287 patients. In Year 1 (the placebo-controlled portion of the study), patients will be randomized into the following 4 parallel dosing arms, to receive treatment every 4 weeks via IV infusion: Arm 1: Placebo. Arm 2: BIIB054 - 250 mg. Arm 3: BIIB054 - 1250 mg. Arm 4: BIIB054 - 3500 mg. Patients will continue treatment in Year 2 (the active-treatment dose-blinded portion of the study). Those who received placebo in Year 1 will be randomized to one of the active treatment arms to receive BIIB054 in Year 2. Subjects who received BIIB054 in Year 1 will continue with the same dose regimen in Year 2. The total duration of study participation for each patient will be approximately 113 weeks, including a 5-week screening period, a 48-week placebo-controlled treatment period, a 48-week active-treatment dose-blinded period, and a 12-week follow-up period. BIIB054 is a human monoclonal antibody that targets aggregated forms of α-synuclein. Pre-clinical work1 showed >800-fold binding to aggregated α-synuclein compared to monomer, with epitope mapping showing that the antibody binds to residues 1-10. BIIB054 treatment in three different mouse models showed that it reduces the spread of α-synuclein pathology, improves motor function and reduces the loss of dopamine transporter density in dopaminergic terminals. The successful pre-clinical work supported the initiation of a Phase 1 trial (NCT02459886). This study, entitled “Single Ascending Dose Study of BIIB054 in Healthy Participants and Early Parkinson’s Disease”, was randomized, double-blind and placebo-controlled. Eighteen patients received a single dose of 15 or 45mg/kg of BIIB054, or placebo. Results2 showed favourable pharmacokinetic, safety and tolerability, with a serum half-life of 30 days. 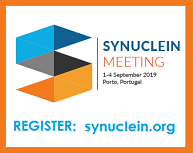 As with all the other α-synuclein targeting therapeutics, this is still an early phase study focusing on the safety and tolerability, however a number of the secondary and exploratory outcome measures will inform the design of the future studies. The study is enriched with a large number of biomarkers that hopefully will contribute to better mechanistic understanding of these targets. PRIMARY OUTCOME MEASURE: Percentage of participants with adverse events (AEs) and serious adverse events (SAEs) up to week 52. SECONDARY OUTCOME MEASURES: 1. Change in striatal binding ratio (SBR) in putamen, striatum, and caudate (Timeframe: baseline, week 52). SBR will be measured by Striatal-Photon Emission Computed Tomography (SPECT) imaging of the Dopamine Transporter with Ioflupane 123I (DaTscan™). 2. Concentration of BIIB054 in the serum (Timeframe: baseline up to week 108). 3. Percentage of participants with anti-BIIB054 antibodies in the serum (Timeframe: baseline up to week 108).